I would pick it up on each trip to the bookshop but in the end would put it down again. One day it disappeared from the shelf. Someone had obviously bought it. I didn’t regret not buying it though because I had already found an eBook version of it and had installed it on my phone. I started it on my road trip to Faisalabad apparel factory ages ago but I never got to finish it because we were too busy talking …I also copied it on office laptop and would read it during breaks at work. 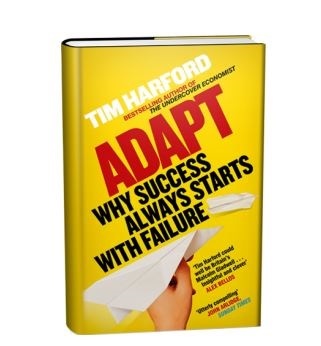 I found it very interesting, absorbing and not very long even though it has twenty two chapters. In the end, I decided to share it with my colleagues as well because I enjoyed it so much. “This is the first time I’ve had to revisit a book, and I didn’t realize how hard it would be. Once a book is done, it’s done. You read the proofs, make a few corrections, and a few months later the thing is sitting on your bookshelf, the object of your proud glances until you get over it and move on to the next project. That was certainly the case with Fashion Brands. And now, unexpectedly, it’s back again. Re-reading the manuscript was a slightly painful experience: I suddenly became aware of all its faults; the phrases that jarred, the errors of judgment. And yet there were paragraphs I was surprisingly pleased with. It was as if I’d discovered a neglected T-shirt in a bottom drawer and, holding it up, realized that I still liked it. So what has changed since 2005? Most of the predictions I wrangled from fashion luminaries turned out to be – or are turning out to be – on the money. Evidence of the impact of cheap imports from China can be seen all around us. As I write, I am wearing a cashmere sweater that cost absurdly little. Cashmere is everywhere now, and it has become ludicrously affordable. The label always reads, ‘Made in China’. Luxury has become accessible, and so the luxury fashion brands have been forced to market harder – to instill those intangible ‘values’ that justify their profit margins – and to up the ante in terms of quality and innovation. It seems to me that, if anything, consumers have become even more obsessed with fashion than they were when I started writing the book. The affordability and accessibility mentioned above have undoubtedly contributed to this trend. But we shouldn’t underestimate the power of the fashion bloggers, those independent commentators who were barely a blip on the screen just three years ago. Now, it seems, the internet is crammed with consumers expressing their opinions about brands, taking pictures of themselves in their latest purchases, or wandering the streets photographing other style mavens. Until very recently, the only people who did this kind of work were professional trend trackers working for ‘style bureaus’: the intelligence services of brands. They were also the only people who had the courage to approach complete strangers and ask them to pose for a photograph. It takes more guts than you’d imagine: try it sometime and you’ll see what I mean. The interesting thing, though, is that people almost invariably say yes. They’re flattered that the photographer admires their dress sense. Once the bloggers realized this, the barriers came down pretty fast. Now the trendiest districts of the world’s cities are full of colorfully-dressed young people taking pictures of one another for their blogs. I believe this phenomenon has changed the comportment of city inhabitants: now, anybody vaguely stylish almost expects to be photo-graphed. In the morning, they dress for a new form of urban theatre. This need to stand out from the crowd has inevitably influenced purchase patterns. To a certain extent, consumers have begun branding themselves. Individuality has become more desirable than ever – hence the increasing importance of customization. More and more brands are offering services that enable shoppers to adapt existing models to their own tastes, or even to create items from scratch. Men are rediscovering the joys of tailoring. Improved technology is enabling consumers to order customized clothing online. At the time of writing this trend is barely a ripple, but it will gather in size and pace over the months to come. To reflect these changes, I’ve added an entirely new section about the rise of bloggers. 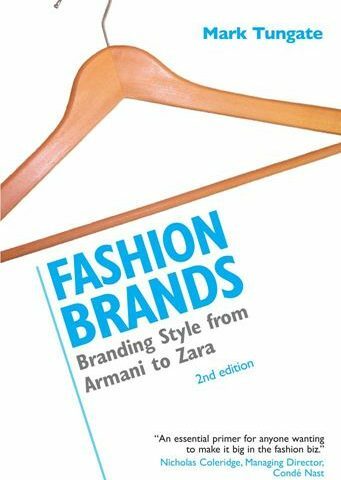 I’ve also revisited the chapter about celebrities and fashion, to touch on the phenomenon of stars who try their hand at designing clothes. Partnerships between brands and celebrities for marketing purposes are now so commonplace that they have almost become a cliché, which is only one step away from becoming unfashion-able. Nonetheless, the iconic appeal of model-turned-celebrity-turned-designer Kate Moss, as well as the dozens of pop singers and movie stars who’ve ventured into fashion, has worked its magic on consumers. I was also compelled to add to the section about ‘ethical’ fashion. The first edition of the book alighted briefly on this, but at the time it seemed like an underground movement. Now, with the sale of ‘fair trade’ and ‘organic’ goods on the rise and climate change firmly on the agenda, many consumers are questioning the ethics behind every item they buy, including clothing. Other changes are less obvious: I wanted to extend my profile of the designer Matthew Williamson, for example, in the light of his brand’s 20th anniversary. And I’ve made a few nips and tucks here and there to freshen things up, as the fashion industry is wont to do.